An electric vehicle uses only pure energy from a battery inserted into the frame to power the electric motor; providing the cars traction. The battery can be charged at a public charging station or from the comfort of your own home. The charging is also carried out by the installed regenerative braking system which provides the conversion of the cars kinetic energy, produced during the deceleration of the car, into electrical energy. In this configuration, the energy supplied to the motor comes from both the battery and a small internal combustion engine (ICE), which is connected to a generator that is charged to generate sufficient energy to power the electric motor. 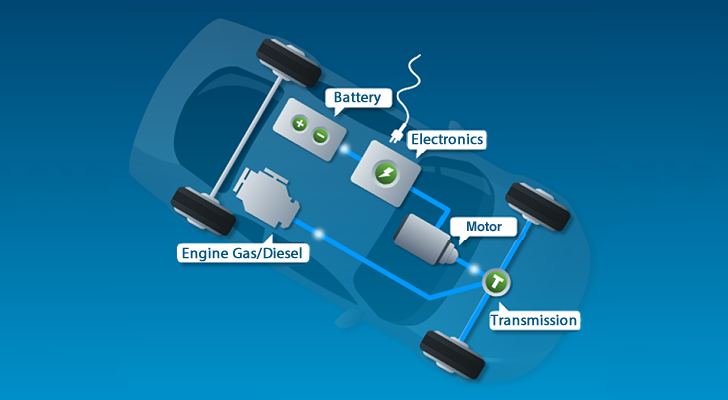 The vehicle is exclusively given traction by the electric motor. 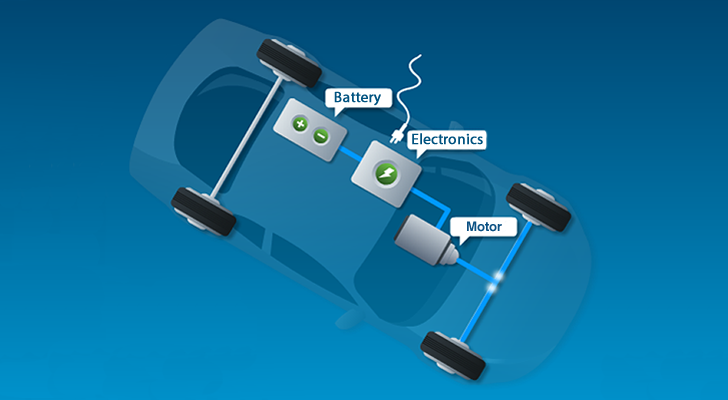 An electronic system manages the power distribution between the battery and ICE. The battery is recharged by the generator and the regenerative braking system. 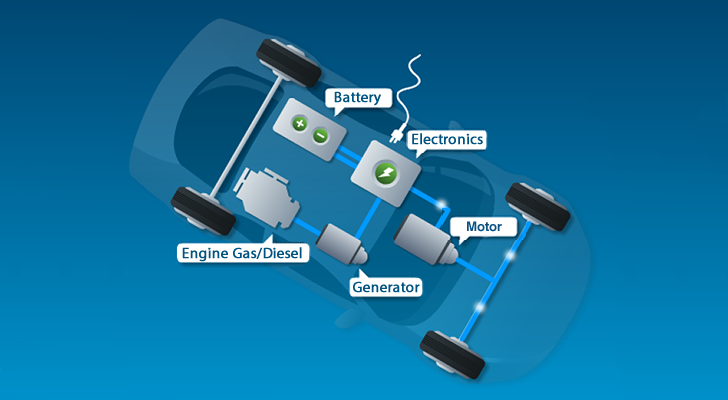 In this configuration, the energy provided is a combination between the stored energy in the battery and the energy generated by an internal combustion engine (ICE). In a hybrid parallel both the electric motor and the ICE contribute to the traction of the car. An electronic system is able to determine; as a function of speed and various parameters, how much energy must come from the electric motor and how much is needed from the ICE. Both ICE and the regenerative braking system ensure that the battery is charged.